The picturesque character of the South Bohe- mia landscape has attracted people for a visit that feels like a gentle pat on the cheek. It is enchanting thanks to the beauty of its nature, where our predecessors left their respectful loving marks. It is a landscape with a unique spirit; its present face has been formed by significant noble families, exceptional artists, folklore creativity and, last but not least, the people’s faith. 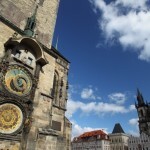 South Bohemia is sprinkled with chapels which form an inseparable part of the Czech Republic’s cultural landscape. 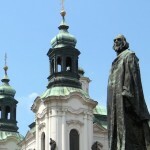 Ancient pilgrimage trails followed by believers trusting in God’s mercy lead towards South Bohemia’s churches and monasteries. 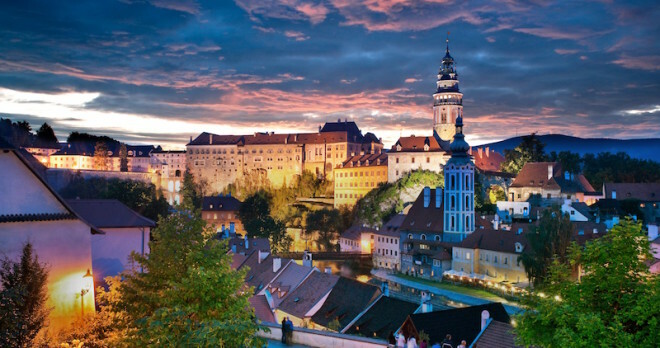 Let us take you to the monasteries of South Bohemia with a stop in the fairy-tale town of Český Krumlov. 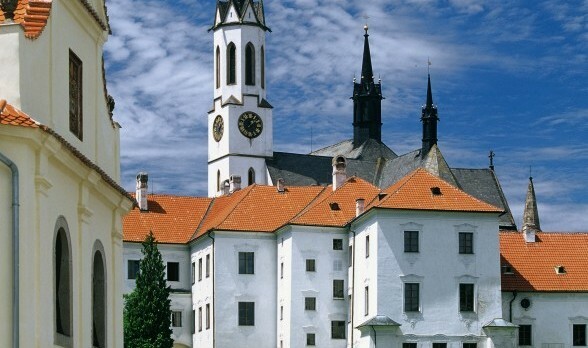 Succumb to the magic of medieval Zlatá Koruna. Wouldn’t you like to wave a magic wand and be transported back to medieval times? 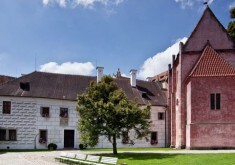 If so, then on a tour of South Bohemia don’t miss a chance to visit to the Cistercian monastery at Zlatá Koruna. One of the most prized gothic complexes in central Europe lies in the enchanting valley of the Vltava River near Český Krumlov and has preserved its original atmosphere. 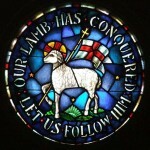 The complex bore witness to the life of the nuns hundreds of years ago. 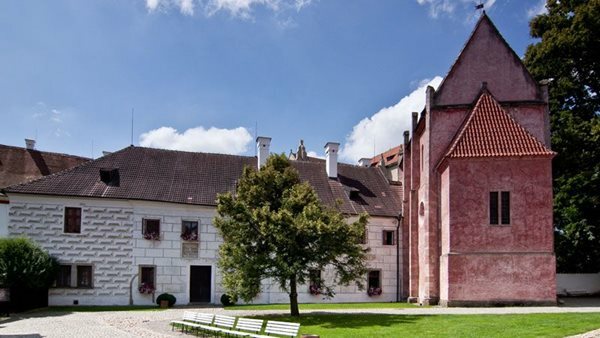 When you are walking or driving through the picturesque countryside around the Lipno Reservoir, don’t forget to visit the monastery in Vyšší Brod, the spiritual centre of South Bohemia since the middle of the 13th century. A town that reaches to the skies above a bend on the River Vltava, Český Krumlov is a pearl of Renaissance architecture and a place where the sumptuousness of the local castle, maze-like alleyways, richly decorated coats of arms of burghers houses, and wonderful floral gardens are harmoniously interwoven; at the same time, it boasts medieval pubs, ale-houses, galleries and graphite mines. 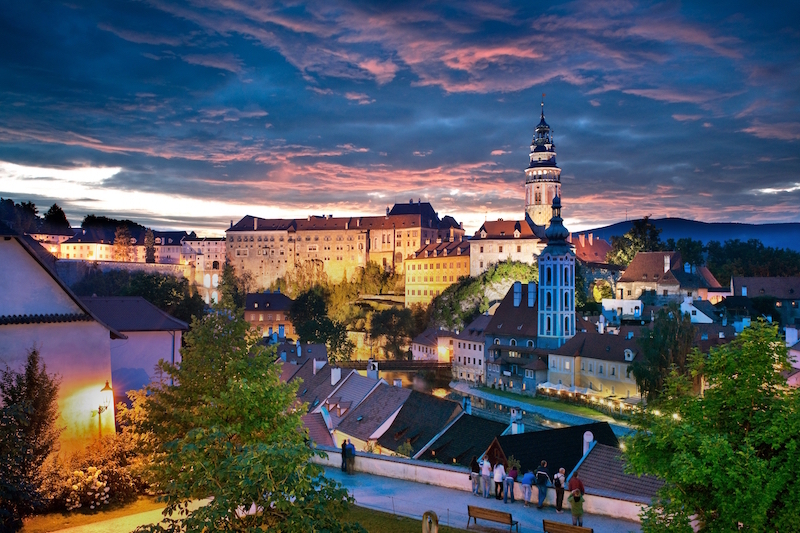 Thanks to its unique preserved medieval core, Český Krumlov is included on the UNESCO list.